Had the day off this Friday, so a bunch of us went roller skating in a park here. The weather was, well, actually great considering this place. Could be better (WARMER and not shifting from sun to rain to snow to sun), but I guess I shouldn’t complain. Haha. And then yesterday, we did it all over again. 4 hours just playing around on skates. Its so fun! You just completely forget everything else. And I even learned new things. Balancing on my heels and my toes (scary!) amongst other things. Today the weather is fantastic again, but I’m just worn out. The last two days has been LONG, up and about from around 11 in the morning, not returning home until midnight or later. It wears me out, haha. So I’m just chilling now, I needs to charge my batteries. Tomorrow its work again, bah. All I need now is money so I can buy new wheels for the skates. I need hard wheels that don’t stick to the ground. Ebay is filled with them but the shipping, THE SHIPPING! Goddamn expensive. Boohoo. Ah well, nice to have something to look forward to. Here a little bunch of us are. I just love this concrete court, perfect! 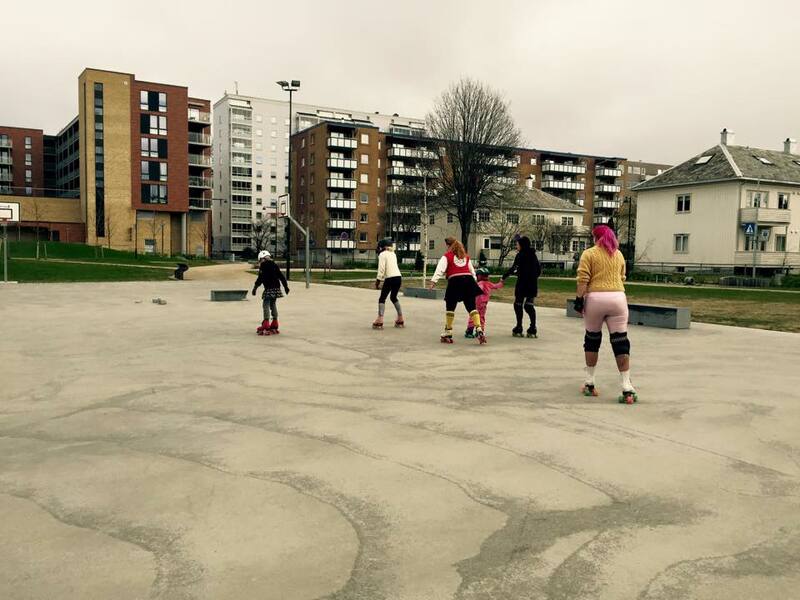 When you don’t have a roller rink in town this is a great alternative (as long as the weather allows though). Working on ma skills. Or something, haha. 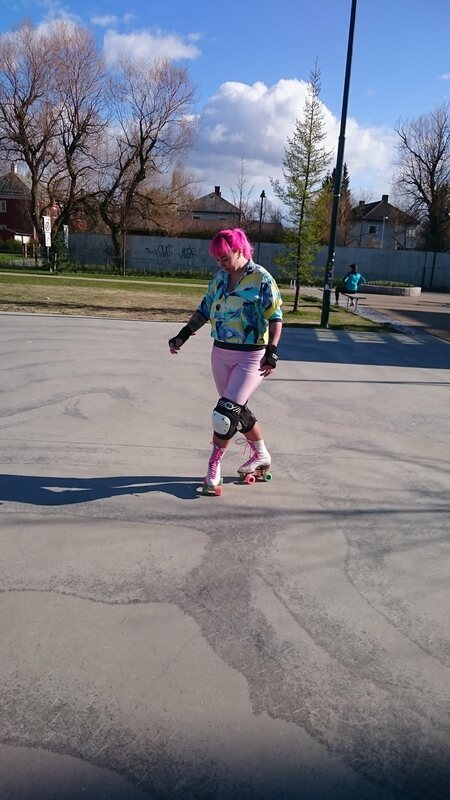 I’m not used to having skates with no toe stops so I’m not comfortable skating without pads yet. You can bet I fell on my face a couple of times the first time I tried these skates! Haha! I love these skates, LOVE THEM. I AM NEVER TAKING THEM OFF. I’m just waiting for summer to kick in so I can skate the days away! Dance ’til I drop!